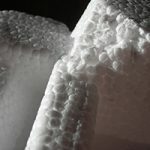 EPS or expanded polystyrene packaging, perhaps better known as “Styrofoam,” can be found just about everywhere you look. 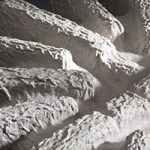 From packaging peanuts, carry-out containers, and home insulation, EPS has also traditionally been used as a popular protective packaging material. EPS is produced from a mixture of petroleum based polystyrene and a gasoline blowing agent, such as pentane or carbon dioxide. However, because of its unique composition, EPS cannot always be easily recycled, and if not recycled properly (it requires a separate recycling stream that can handle different versions of plastics), can take up space in landfills because of its enormous volume1. Environmental Aspects Sustainable product that is fully recyclable, bioedegradeable, and compliant with ISO 14000 and European Green Dot standards. Non-biodegradeable material facing bans in many countries and communities. Price Stable cost bases that often leads to lower overall cost Prices are tied closely to rising oil and resin prices. Protection Excellent vibration dampening and cushioning properties. Good vibration dampening and cushioning properties. Storage & Shipping Product nests during shipment and storage allowing for tremendous cost and environmental savings. Product rarely nests requiring bulky shipments and extensive storage space requirements. Temperature Resistance Unaffected by extreme temperature. Temperature affects flexibility and can break at low temperatures and lose cushioning properties at high temperatures. Static Static neutral material ideal for electronic components. Typically requires treatment with anti-static agents to comply with electronic industry specs. UFP Technologies’ molded fiber solutions can provide you with a safe, simple and environmentally-friendly packaging option in light of the potential shortcomings of EPS. The molded fiber we produce is solely newspaper and water, with no chemicals or chemistry involved in the manufacturing process. And because molded fiber nests, it results in reduced space and storage, which decreases transportation costs and reduces the number of vehicles needed. As a result, UFP Technologies’ molded fiber packaging has become one of the foremost cost-effective, durable and sustainable solutions in the market. For more detailed information visit our molded fiber website at moldedfiber.com.